Efficiency, productivity and safety are vital to your business or organization. Increase the area in which your workers are able to talk by utilizing wide-area communication solutions. From the front desk of a hotel to the aisles of a grocery store, on-site two-way business radios get the job done. 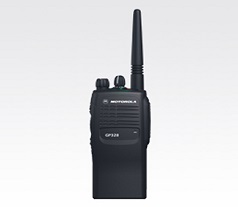 We bring you Motorola's range of Two Way Radios that offer your employees the best in two-way communications to help improve productivity and overall efficiency.